Vincent Martig was born in Caen, France, and raised in Arnhem, Holland. When he was eight years old, he started playing the clarinet, following lessons with Hans Mossel, former clarinetist in Het Gelders Orkest. 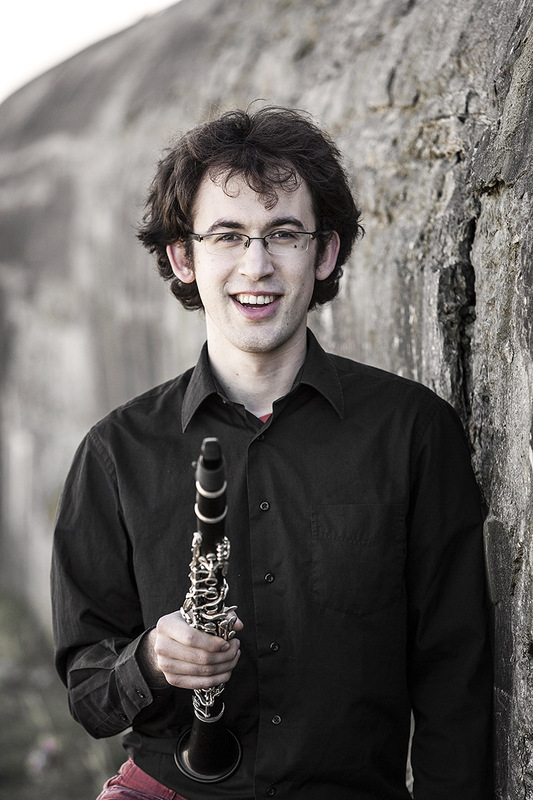 After high school, he started his Bachelor in Comparative Indo-European Linguistics in Leiden, which he finished in 2012, together with a minor in Classical Clarinet at the Royal Conservatory in The Hague. Since August 2012, Vincent has been studying in The Hague, with Pierre Woudenberg. In June 2016, Vincent graduated from Master studies with a 9 (out of 10) and two distinctions. In conservatory, student and professional orchestras, Vincent played under Jac van Steen, Quentin Clare, Susanna Mälkki, Hans Leenders, Reinbert de Leeuw, and Valery Gergiev. He received lessons from Ab Vos and Rick Huls, and followed masterclasses from Chen Halevi, Ralph Manno, and Olivier Patey. In August 2015, he participated in the Dutch Impro Academy, with Han Bennink, John Dikeman, Wilbert de Joode, Ernst Glerum, Eric Boeren, and Mary Oliver. In recent years, Vincent has also taken up composing, arranging, and conducting. His works have been performed by several ensembles, conducted by himself. He plays on a set of Wurlitzer clarinets (made possible by PBC and SEM), and a Buffet Crampon Prestige bass clarinet.